When you take a vacation, the point is usually to get away from everyday life and do something different. Well, there is nothing quite as different (and no place quite as removed from everyday life) as venturing into space. 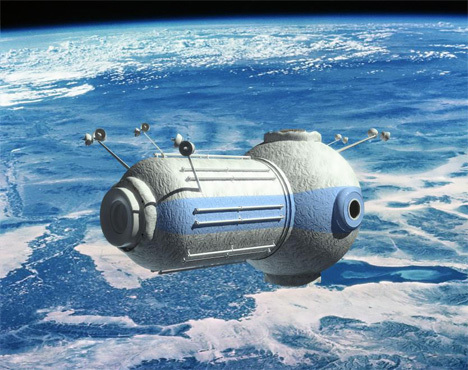 A Russian company called Orbital Technologies is developing a commercial space station, an orbiting hotel that is 217 miles removed from the surface of Earth. The incredible hotel is not for the budget-conscious traveler; it will cost a bit over US$800,000 just to get there, with another US$160,000 or so required for five days of accommodations aboard the space station. 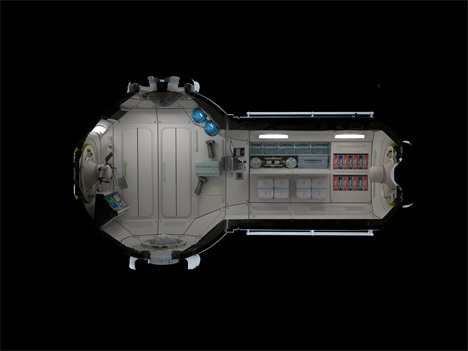 However, the spacecraft will be designed as a comfortable environment that is much more focused on leisure than the science-oriented International Space Station. 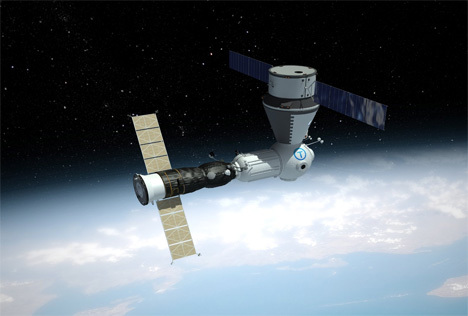 A trip to Orbital Technologies’ commercial space station will take two days to reach aboard a Soyuz rocket. 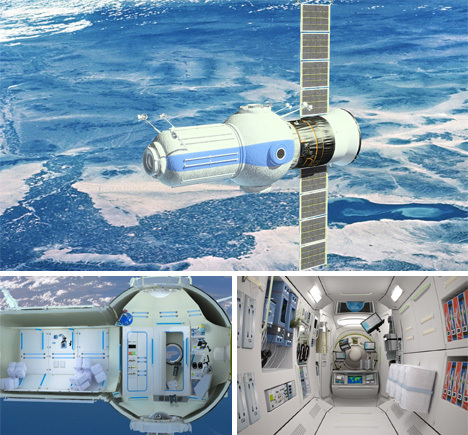 Experienced space crews will accompany tourists (up to seven at a time) both on the journey from Earth and during their stay in space. 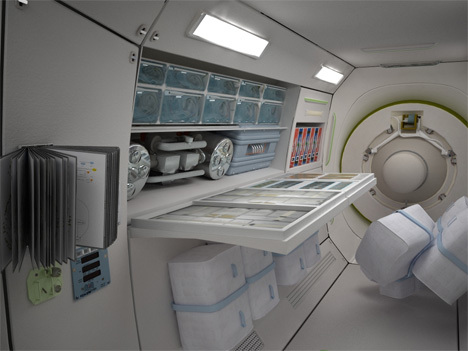 Gourmet Earth food – not the bland food tubes astronauts have traditionally been served – will travel in the rocket along with the tourists as well, then be warmed up in on-board microwave ovens just before mealtime. 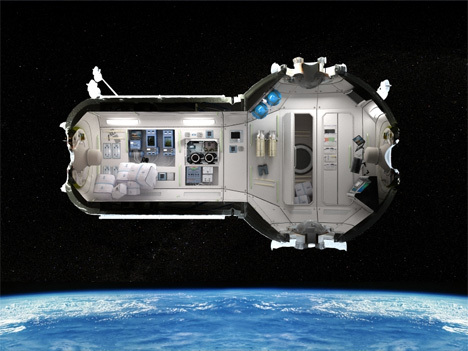 The commercial space station will be equipped with windows, cameras and binoculars so that guests can see the breathtaking neighborhood the space hotel is in. While the project, slated to open in 2016, is mostly geared toward über-wealthy tourists, it is not exclusively a leisure destination. 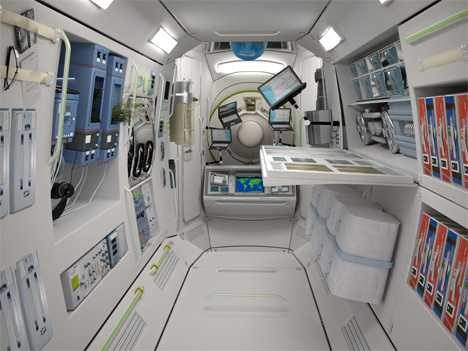 The commercial space station will also serve as an emergency destination for astronauts and cosmonauts aboard the International Space Station if they should ever run into trouble while on a mission.